Welcome! You're reading the very first post on the new Polarr blog. This is wiki will be where we publish and share blog posts related to product announcements, design changes, tutorials and so much more. You'll find a more traditional wiki section where we plan to add a whole lot of content focused on photo editing. This is our home to connect with you on your photography journey. To kick off the new wiki, I thought it would be great to take a look at the features we added to Polarr over the last six months, in the event you missed them! We've had 5 significant releases since last November with a cornucopia of new features, tools, and functionality added to Polarr Photo Editor. January 20, 2017 (v3.6) - All filters are now playable and learnable. March 22, 2017 (v3.7) - Added Apple Pencil support, 3D touch brush and new brush tools. Also, added watermark tools. Those are some useful tools that you might have missed. So I'll take a moment to give you a quick overview of each feature. You can get more information about each feature in the wiki. Our November release introduced a new text editing panel and some advanced text controls. 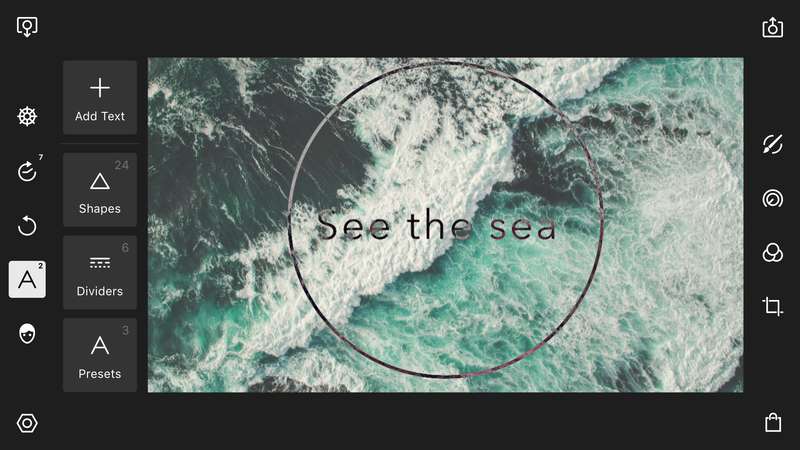 The text tool allows you to add text (and shapes) to your photos. Features to give you full-text editing control include letter/line spacing, alignment, and wrapping. Dynamic vector scaling and a unique blending adjustment makes text tool even more powerful. Spent a few minutes making the perfect adjustments to a photo and ended up creating a filter from those adjustments? Well, now you can synchronize and backup all your custom filters. This allows you to use any custom filters you create across devices and platforms. You'll need to use your Polarr account to make this work. So be sure to sign in. Make your workspace yours with the ability to have a custom theme inside Polarr. Inside settings, you'll find four themes you can use within Polarr: Dark theme, Dark theme +, Light theme, and Custom color. Some of you may prefer to work within a dark editing environment, while others will want to pick their favorite color. The choice is yours. We're always working hard to ensure that Polarr Photo Editor works with all your files. You'll find improved RAW support in Polarr on all platforms. Multitask like a pro when you're using Polarr on your iPad. Polarr now supports Split View on iOS. This allows you to run two apps side by side on your iPad. For example, you could be reading this right now while editing inside Polarr. This feature is probably the coolest. 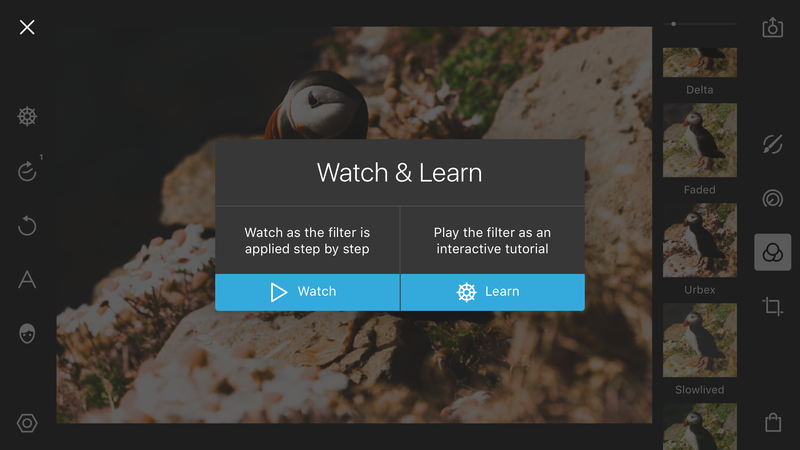 Long press any filter inside Polarr and you'll be presented two options: Watch & Learn or Add to Favorites. Click the first one, Watch & Learn, to see how the filter is applied to your photo. You'll get to see all the adjustments as they're being made. It's a great way to learn how to get certain looks yourself without having to use filters. Does your device have a digital stylus? Then you'll be excited to find support for it inside Polarr. Look for support of Apple Pencil, Surface Pen and other digital styli on your platform. Create local adjustments in targeted areas of your photograph using our new brush tools. The brush tool is great at making changes to selected areas of your photograph. The brush tool joins our circular and gradient tools for local adjustments. We're just getting started here at Polarr. 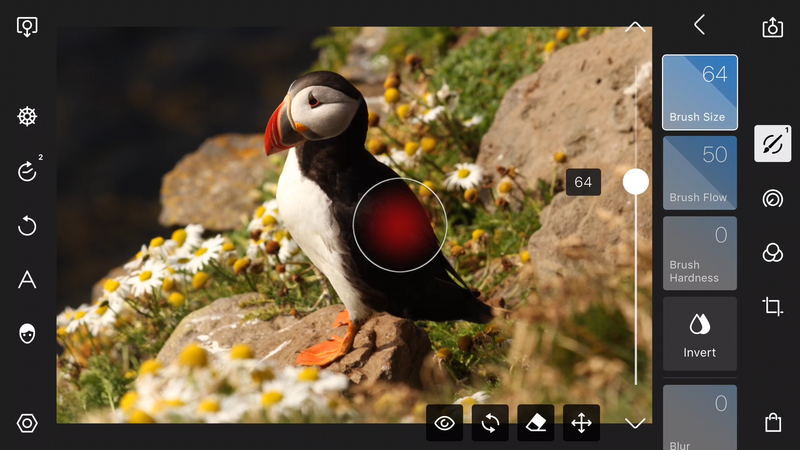 We've added a lot of features into our photo editor over the last six months. But there's even more to come in the near future. We can't wait to share with you what we've been working on. Make sure you're following us on your favorite social network to stay connected and up-to-date with all Polarr features.